Successfully Added 5 Inch Android 4.2 Phone "UMI X2" - FHD IPS OGS Display, 441PPI, 1.5GHz Quad Core CPU, 2GB RAM, 32GB (White) to your Shopping Cart. 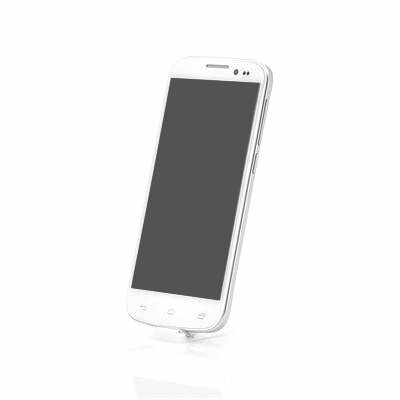 5 Inch Android 4.2 Phone with Full HD IPS OGS Display, 441PPI, 1.5GHz Quad Core CPU, 2GB RAM, 32GB of internal memory and much more. A good phone doesn’t have to be expensive! 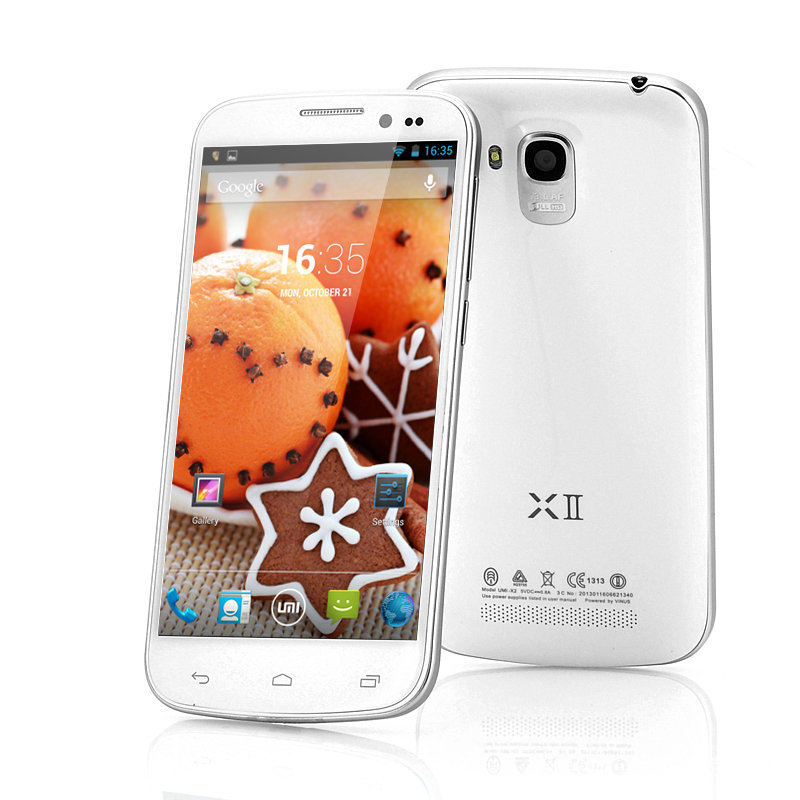 The “UMI X2” is a one of a kind Android 4.2 phone. Coming with a 5 Inch Full HD screen, the “UMI X2” combines an unmatched viewing experience on its 441PPI screen with an ultra low price. Enjoy movies, games, pictures and more in all clarity and in an extremely sharp resolution of 1920x1080. Using OGS technology, one of the glass layers a traditional touch phone uses is eliminated, making the “UMI X2” ultra responsive to your every touch. When it comes to performance, the “X2” packs an incredible 1.5GHz Quad Core Processor along with 2GB of RAM which lets you power through different apps at the same time without loss of speed. Be ready to be amazed by the picture quality of the 13MP Camera and using a LED flash, the “UMI X2” can shoot crystal clear pictures and video under all light conditions. You’ll even be able to video chat using the front camera or use the back camera for high definition video taking. Furthermore, Bluetooth and a GPS navigation system come standard on this phone and a whole array of sensors will assist you to have the best possible user experience. Enter the world of high end smart phones today and order the “UMI X2”. In stock, this phone can be shipped out within one working day and comes backed with a 12 months warranty. Brought to you by the leader in wholesale Android Phones, Chinavasion.